The Chair is the official representative of the association, and in this capacity is a voting member at the EURALO General Assembly. 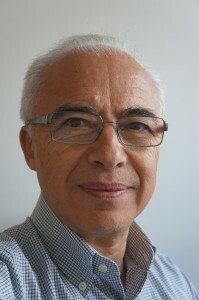 Roberto Gaetano was elected as Chair in November 2017, after serving as Secretary 2015-17. He has been an active participant in the Internet and the ICANN policy making process since 1997. 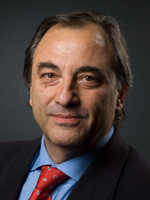 As a representative of ETSI (European Telecommunication Standards Institute), he played important roles in the formation of CORE (Council of Internet Registrars), the policy discussions around the U.S. Government’s White Paper (International Forum on the White Paper), and the formation of ICANN’s original Domain Name Supporting Organization (DNSO). He served as one of the first chairs of the DNSO General Assembly and has focused his efforts in recent years on bringing to life a constituency for individual users and registrants. Roberto has been the ALAC (At-Large Advisory Committee) Liaison to the ICANN Board, then a NomCom-elected ICANN Board Director. In this capacity, he has served in several committees, and as Vice-Chair. Currently, he is the Chair of the PIR (Public Interest Registry) Board, and Member of the Board of EURALO (2017-19). The Vice-Chair replaces the Chair when the latter is not available. Jean-Jacques Subrenat was elected as Vice Chair in November 2017, after serving as this Association’s inaugural Chair 2015-17. As a member of the NTIA IANA Functions’ Stewardship Transition Coordination Group (ICG, 2014-16), took an active part in preparing the transition of oversight of the IANA Functions. A member of the NetMundial Initiative Coordination Council (NMI-CC, 2014-16). During his service on the ICANN Board (2007-10), was a member of the President’s Strategy Committee, co-authoring “Improving Institutional Confidence” and its recommendations; created and was first Chair of the Public participation committee; initiated and was an inaugural member of the Global relationships committee. As a member of the At-Large Advisory Committee in ICANN (ALAC 2010-14), launched the Future Challenges Working Group, co-authoring “Making ICANN Relevant, Responsive and Respected (R3)”. A former French diplomat (1972-2005), served in various embassies, and in the ministry of foreign affairs in Paris (policy planning; diplomatic advisor to the Minister for European affairs; deputy director for Asia and the Pacific; alternate director for the Americas). Was permanent representative and ambassador to the WEU (Brussels), ambassador to Estonia, ambassador to Finland, interim governor in the Board of governors of ASEF. Was a tutor at France’s International institute for public administration (IIAP, Paris), and later at the French national school for public administration (ENA, Strasbourg). Served as Chair of the advisory board, Institut Pierre Werner (Luxembourg); special advisor to the board of Neumunster cultural centre (CCRN, Luxembourg) and, in that capacity, member of the board of the European Union national institutes of culture (EUNIC). Member of the Board of EURALO, 2017-19. A Community Contributor at WikiTribune. The Secretary is in charge of documentation for the Association, including the minutes of the meetings and the coordination of the posting to the web site. Fotjon Kosta was elected to this position in November 2017. He has been active in Internet governance in IGF, EuroDIG, SEEDIG since 2015, contributing in sessions such as BPF cybersecurity & security, internet governance, human rights, as well as in other organizations such as Diplo, RIPE NCC. He was an active participant in ICANN-57, ICANN-58, ICANN-59 through the ICANN Fellowship programme. 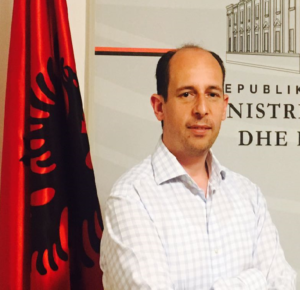 He is Albania’s IGF coordinator and initiator since 2017. His educational background is in Computer Science. Professional experience since 2007, working for the Albanian government: Ministry of Defense 2007-08, Ministry of Economy, Trade & Energy 2008-13, Ministry of Energy & Industry 2013-17 as Head of ICT, ICT Expert and Cybersecurity Expert. Since 2008, has worked mainly on national and regional strategies, projects and initiatives related to ICT development in Albania and its regions. Also has experience in business, having worked on ICT companies and ISPs. Currently working in Post & Telecommunications Programme Development Department, Ministry of Infrastructure & Energy. Olawale (‘Wale) Shakiru Bakare was elected to this position in November 2017, after serving as Secretary 2015-17. 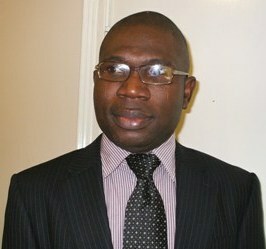 He has been active in the area of Internet Governance for years. ‘Wale participated in Internet Society’s Next Generation Leaders (NGL) – eLearning by DiploFoundation. He is currently a participant of ICANN’s Cross-Community Working Group (CWG) on NTIA Stewardship Transition of IANA. Wale Bakare is a member of Internet Governance Forum (IGF) for Best Practices on Meaningful Multistakeholder Participation, Establishing and Supporting Computer Emergency Response Team (CERTs) for Internet Security, Creating an Enabling Environment for the Development of Local Content. ‘Wale recently earned a certificate in User Innovation from the Massachusetts Institute of Technology (MITx), US. He earned a certificate in Initiating and Planning Projects (Project Management) from the University of California, Irvine, US. He also received an MSc degree in Embedded Computer Systems Engineering from the University of Northumbria, Newcastle upon Tyne, UK. He is an Innovator, as well as an Internet-of-Things/Telecommunication/IT Consultant with over 15 years’ experience. He is currently serving as Secretary of EURALO.